Whenever I try to scroll through the QSO List history to earlier than 02/06/2018 I get a "TApplication.HandleException Access violation" error and the CQRLOG GUI freezes and goes gray. I also noticed that this coincides with a higher load on the CPU (1.0-2.0) when the loads are typically around .5 so not sure if that has anything to do with it. One of the things I tried to correct this was increasing the innodb buffer from 80M to 128M, but that had no noticable affect and resulted in the same error. There also appears to be some mysqld errors from missing tables, but they don't seem to affect anything as far as I can tell. I did try troubleshooting those as well, but none of the solutions in the CQRLOG forums helper. I shut down rigctld so constant polling wouldn't clog log, however "Sending: fmv" was still throughout the log. I've removed repeated lines. TMySQL56Connection : Server connect failed. Sometimes I have found error in database that certain record causes excption. Doing adif export and impoirt to fresh new log may help then. But mostly it is "known bug" of QSO-frame scrolling routine. Excption occurs sometimes in different places depending the speed of PgUP/PgDN keys are repeated. I tried once to debug this, but after few hours I gave up as the code is written so complicated way at that point that following is very hard. (at least for me). 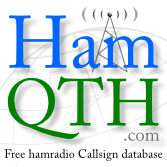 Using Filter-form you can find certain call(s) and get amount of qsos reduced. If I remember right 500 qsos are loaded at time and exception usually happens when new set is loaded during scroll. This is a fix that I like to leave to Petr. Maybe for rewriting whole scrolling routine from scratch. I am always detecing this "scrolling" problem. It is soo boring. I have just decided to say good by... I change my log program from cqrlog to an other.... or I start write my own. SyncMsg :Upload to HamQTH is not enabled! Go to Preferences and change settings. 180318 20:47:57 mysqld_safe Logging to '/home/acz71/.config/cqrlog/database//mysql.err'. >I am always detecing this "scrolling" problem. It is soo boring. I have just decided to say good by... I change my log program from cqrlog to an other.... or I start write my own. How about writing a new scroll routine? It is lot more easier than writing whole new logging program! Then make a pull request and share it with us. it's always much easier to start developing new software than fixing bugs. Maybe HG5ACZ should look at CQRLOG history. The application has been developing for more that 10 years. We already found a lot of ways that don't work. Developing something so complex like logging program is really a lot of work but we definitely need more ham radio application for Linux. I'm sorry that I still didn't fix the bug. I'm very busy, spend a lot of time with my daily job and on the evening I'm so tired that I don't fix another bugs. But I'll look at it. I completely understand you. It is not so long ago that I was fighting against windmills (Windows network IT-support at local mill). Those free hours that yo have you should spend with family and something else than computers and programming. That leaves quite little time for developing hobby programs. That is why I tried to invite him to do something for common good. Sharing is the key. It is not supposed to put all work to one man and let others just enjoy results. Not everyone are programmers, but those who can should help a bit. As said before I tried once to follow the idea of scrolling, but it was so complex that I could not get in to it then. I do not use qso view very often that way that I only scroll old qsos. If I'm looking for something I use first filter or sql console to find what I want. Maybe that's why the scrolling has not bothered me so much that I had been started to try fix it again. When you know the problem of scrolling you can live with it. There are lots of fine things in cqrlog that are working ok.
you are right but it seems HG5ACZ won't be notified about the conversation via email because he has wrong email entered on the CQRLOG website. I get back all notifications to that email. and also some layout fixes and it should work. Actually it works very well, I did a few QT builds for testing on my computer. Together with this change I'm going to move from deb to AppImage. Far better and less work for us. We can guarantee that it will always work but the AppImage will be quite big, I suppose somewhere around 50MB or more. I think it worth for it, no more problems with missing libraries, different dependencies in Fedora/Ubuntu/Min/Debian etc. I already studied the AppImage format, visited a lot of WIKI documentation and I really like it. QT version would look far better than old GTK2, no problem with support for HiDPI monitors, no problem with big imputs, no problem with double characters etc. Now we need someone who could create new icons for CQRLOG in SVG format. Even with AppImage, we can support Ubuntu 14.04 without any problem, without pain with building new Lazarus packages for that old distribution. It can use diff upgrades, so upgrage from old version to one means downloading only about 2MB or less, not whole 50MB package. I already studied snap, flatpack and AppImage. Snap still has its own problems and bugs (slow, sysmtem integration problems), flatpack seems to be fine but building Lazarus/FPC application would be something crazy because I have to create everything from beginning, they don't know about FPC/Lazarus, there is nothing that could help us. Unfortunately the same problem with building new Lazars/FPC problem. AppImage was the winner because I can have whatever version of Lazarus/FPC on my system, I can compile CQRLOG on my own computer, add it to AppImage and it will work! That makes me really happy. Now I have to find some free time to create first testing cqrlog.AppImage file. "the AppImage format, visited a lot of WIKI documentation and I really like it. QT version would look far better than old GTK2, no problem with support for HiDPI monitors, no problem with big imputs, no problem with double characters etc. Now we need someone who could create new icons for"
Is GTK3 much the same as GTK2, because GTK3 or GTK+ exists? Ok, should have read earlier. Re: Ok, should have read earlier. yes, I know that thread and the gtk developers' drugs are the reason why I want to leave GTK in CQRLOG. Lazarus developers don't have energy to support API that is changing every month or so. A few weeks ago a saw an article that they are planning to have API stable for two years. Ha ha ha, very funny. They should call it unstable API. Maybe I'm getting too old but I always thought API should be rock stable for looong time. Maybe it's not the point of view these days but I don't want to be part of this.